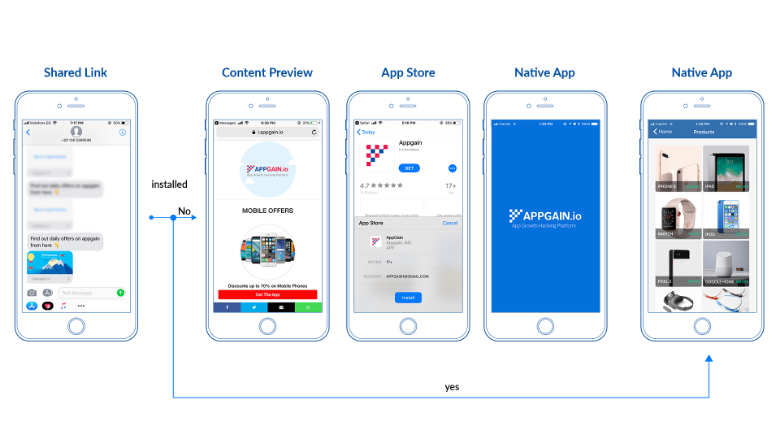 Make your app discoverable, acquire users with less cost, Increase your Mobile App Marketing campaign’s CTR and conversion rate. What is The User acquisition stage? You need to know where does your app perform best and what’s your app download to activation rate. 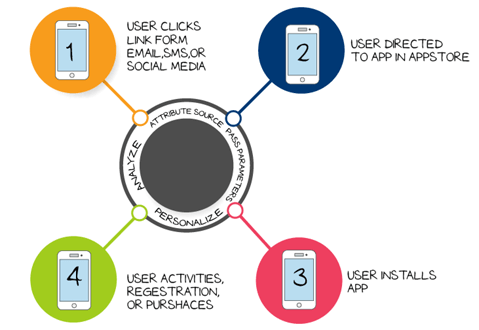 You need to cut down the users journey to your app and provide multiple channels to download your app. Measure your success rate with analytics install attribution. Know your best-performing channels and start optimizing them to increase your ROI. How our solutions address these challenges? Email marketing: Convert your email list to app users using deeply linked emails. users who’re related to your niche. 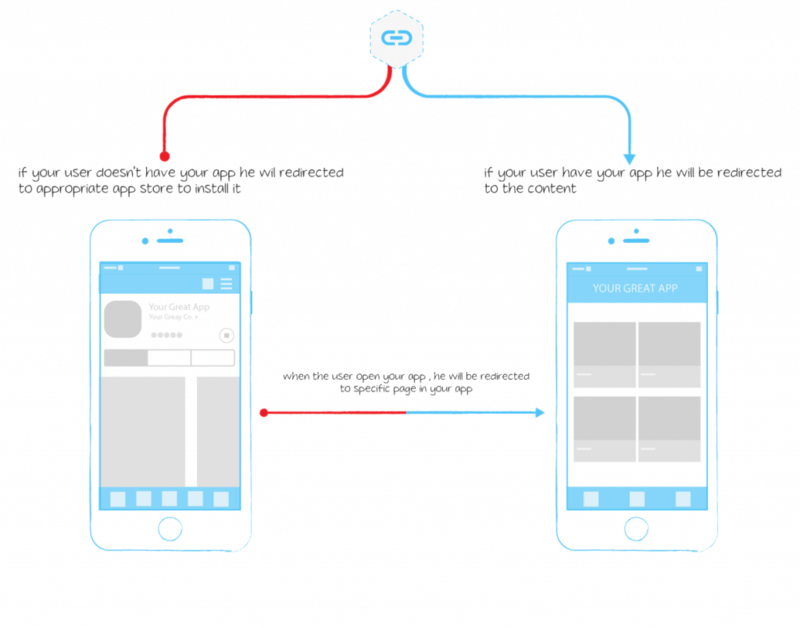 App content preview: Give your users a preview of your application to market your content. App download attribute: Know what Channel is performing better to optimize it to increase your ROI.